Human Rights Watch is calling on Iraq and Turkey to open their borders in Syria’s northeast to allow the passage of some 10,000 Syrian refugees, caught in the desert without proper sanitation. 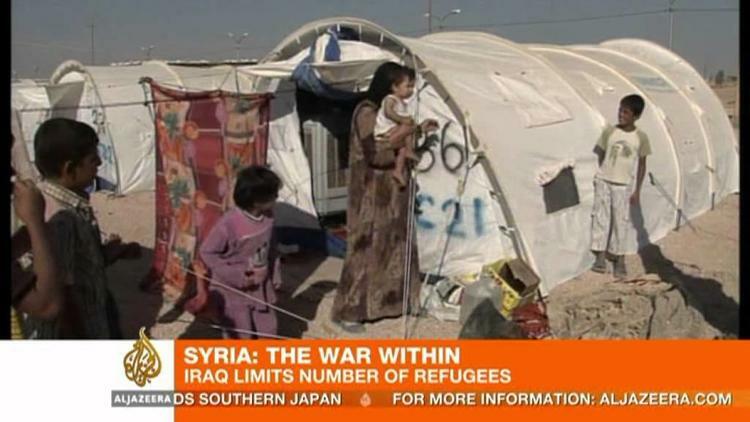 Aljazeera English reports on the closed Iraqi border at Qa’im. The Shiite-dominated Iraqi government fears that some of the Syrians seeking to escape to Iraq might be Sunni radicals, and they blame Syria for having given logistical and other help to al-Qaeda types who wanted to go to Iraq (the former Syrian ambassador to Iraq has also made these allegations). They appear to fear that the refugees may become assets for Sunni radicals. Despite thes security concerns of those two countries and the burden of the refugees (also carried by Jordan), it is illegal in international law for them to keep those 10,000 people trapped that way. Turkey has already taken in over 100,000 Syrian refugees. But it has closed its border with Syria in the east because it is afraid that Kurdish separatist guerrillas, basing themselves in the Kurdish strip inside Syria, will take advantage of the chaos to engage in terrorism in eastern Anatolia. As hundreds of thousands of Syrians have been internally displaced by the civil war and attempted revolution. As winter approaches, there are worries that many may be exposed to the elements. Meanwhile, UN special envoy Lakhdar Brahimi has called for a cease fire on the holy Feast of Sacrifice coming up, which commemorates Abraham’s offer to sacrifice his son for God. The rebels have already rejected this call, fearing the regime would use the respite to mobilize more military assets against them.